NYLON, silk’s young but overwhelming rival, is spun out of air, water and coal. The drawings at the right take the raw materials through the process that chemists worked out in the 1930s to produce the tough, lustrous thread. About 90 percent of this yarn is used today in the manufacture of women’s stockings. The first nylon hosiery appeared in the stores on May 15, 1940; to date, the supply has never equaled the demand. 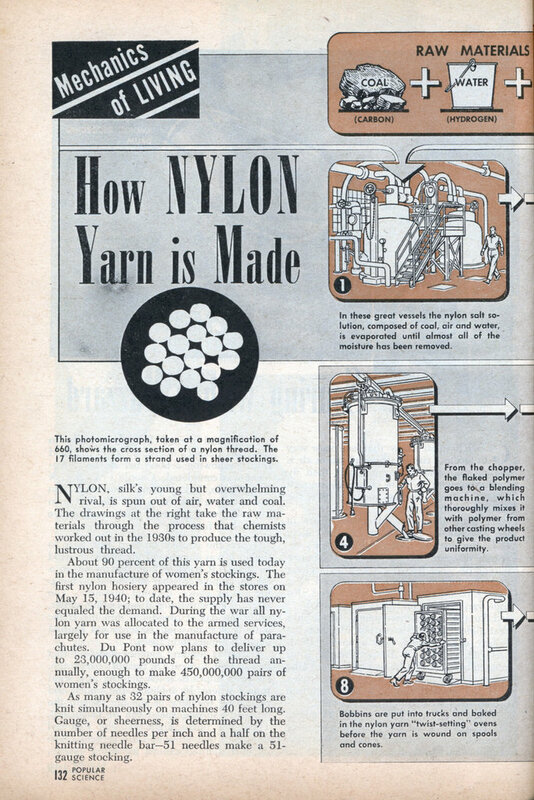 During the war all nylon yarn was allocated to the armed services, largely for use in the manufacture of parachutes. Du Pont now plans to deliver up to 23,000,000 pounds of the thread annually, enough to make 450,000,000 pairs of women’s stockings. 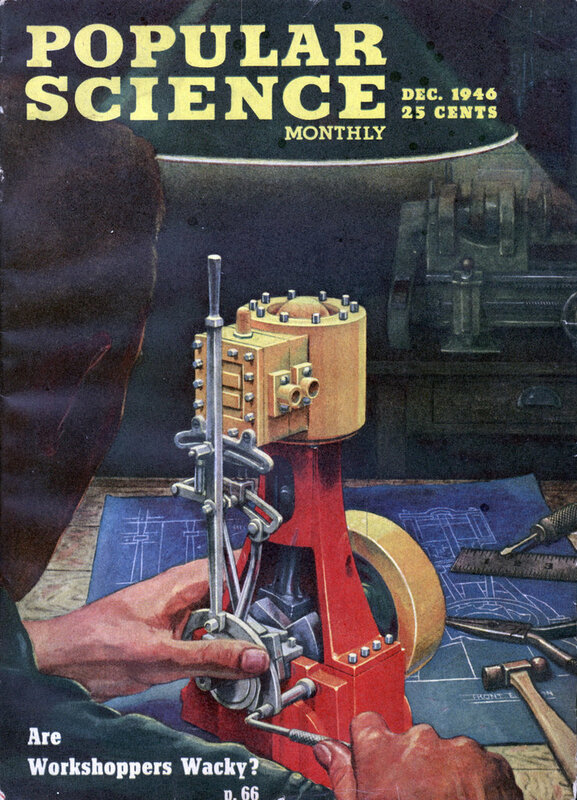 As many as 32 pairs of nylon stockings are knit simultaneously on machines 40 feet long. Gauge, or sheerness, is determined by the number of needles per inch and a half on the knitting needle barâ€”51 needles make a 51-gauge stocking.